Msgr. 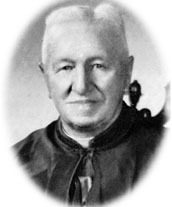 William J. Teurlings, a pioneer cleric in the Diocese of Lafayette, envisioned a school to service the people of his parish, St. Genevieve. Msgr. Teurlings searched for property to build a high school. He found the land that he wanted but felt the price was too high. However, with advice from trusted friends, he decided to buy the twenty-five plus acreage for $25,000, and the land for Teurlings High School was acquired. Shortly before his death, activity toward the creation of the school accelerated, until the opening of the school and dedication in 1955. During the years 1955-59, the school grew and expanded its facilities until it had a full four-year high school program. With much energy and work, the school was officially accredited by the State Department of Education in 1959. Over the years, the name of the school has undergone change, which reflects, to a large extent, the growing experience of the school itself. Originally, the school was called Father Teurlings High School. The school held this name until 1967, when the name was changed to Teurlings Central High School, as a result of negotiations between St. Genevieve Church and the surrounding church parishes, which the school serviced. At some point in the early 1970's however, the school adopted the simple title of Teurlings High School. This title held on only briefly until the principal at the time, Sr. Julie McDougall changed the name to Teurlings Catholic High School. Sister Myra Banquer, Superintendent of Catholic Schools for the Diocese of Lafayette, announced the formation of a tri-parish corporation, which would assume ownership of Teurlings Catholic High School in 1991. St. Leo the Great and St. Elizabeth Seton church parishes joined St. Genevieve as members of the corporation. The plan included joining Sts. Leo-Seton Elementary School with St. Genevieve Elementary School as feeder schools creating a strong base of support for Catholic education on the northside and especially for the high school. Bishop Edward O’Donnell created in 1999 a multi-parish ownership for Teurlings Catholic High School. In addition to the three current owner parishes and affiliated elementary schools, three new parishes and their respective elementary schools joined the system that was to be Teurlings Catholic. Those parishes and schools include: St. Peter and Carencro Catholic, Immaculate Heart of Mary parish and school, and St. Bernard parish and school. The opening of St. Genevieve Middle School during the 2002-2003 school year brought an end to the long-standing configuration of Teurlings Catholic Junior/Senior High School. Beginning with the 2003-2004 school term, Teurlings Catholic became a traditional high school with grades 9 thru 12. In June 2006, two additional parishes were added to the multi-parish ownership of Teurlings Catholic High School. St. Patrick parish and Our Lady of the Assumption parish were accepted by Father Jody Simoneaux, Chancellor of Teurlings Catholic. Teurlings Catholic High School is accredited by the Southern Association of Colleges and Schools and approved by the Louisiana State Department of Education. 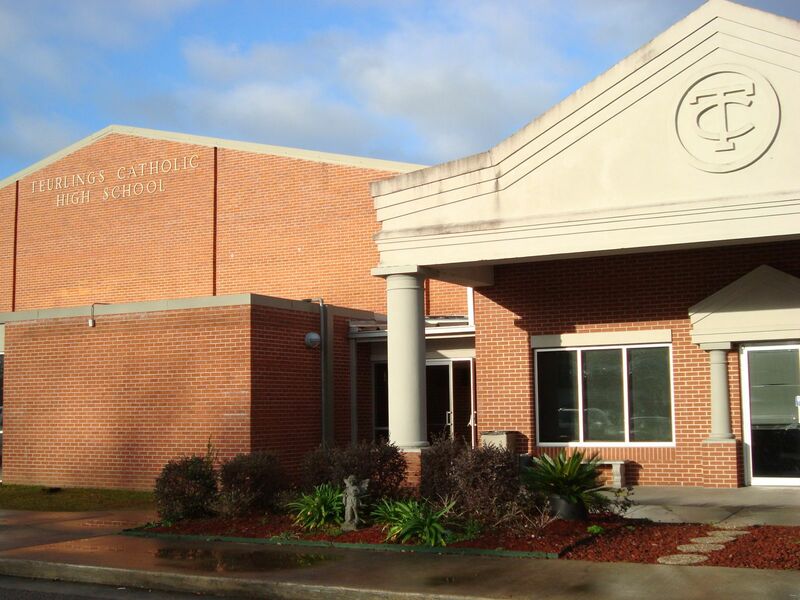 The school is affiliated with the National Catholic Educational Association, the National Association of Secondary School Principals, Association for Supervision and Curriculum Development and the Louisiana Association of Principals. Athletic teams participate under the auspices of the Louisiana High School Athletic Association. Teurlings Catholic High School is intensely proud of its 4,500 alumni. One of the school’s greatest assets is the achievement record of its many outstanding graduates. Many of the prominent leaders in the Lafayette area, as well as throughout the country, were among the many students nurtured through their crucial adolescent years at Teurlings Catholic High School.